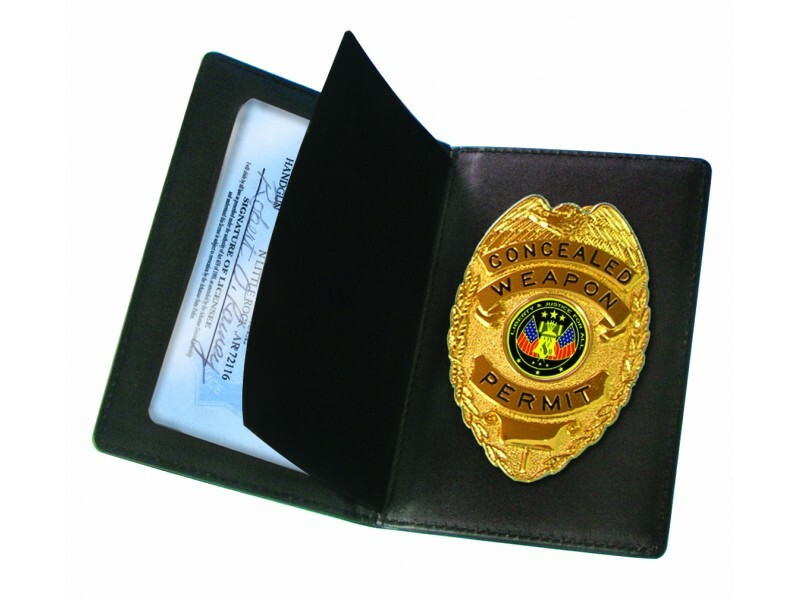 Concealed Carry Badge and Wallet Product Description This law enforcement quality badge is master crafted; with a durable high luster finish and a strong clip attachment on the back. This wallet has window for your permit or ID. It’s an absolute must for any person that carries a concealed weapon. 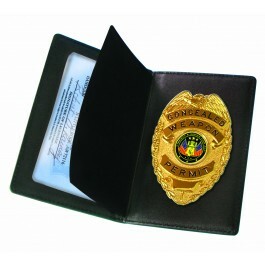 Concealed Carry Badge and Wallet This law enforcement quality badge is master crafted; with a durable high luster finish and a strong clip attachment on the back. This wallet has window for your permit or ID. It’s an absolute must for any person that carries a concealed weapon.